I am pleased to announce the appointment of Professor Nirvikar Singh to the Sarbjit Singh Aurora Chair in Sikh and Punjabi Studies. The chair--established through the Sikh Foundation by Hardit and Harbhajan K. Singh in memory of their son, Sarbjit Singh Aurora--supports research and teaching in Sikh and Punjabi studies from a multicultural and global perspective. Professor Singh brings both a rich heritage and strong research and teaching acumen to the position, and we are fortunate to have his expertise and experience as a longtime member of the faculty in Economics at UCSC. His research and published articles in this area have included work on healthcare systems in Punjab, the Punjab economy, comparison of past conflicts in Punjab and Kashmir, Sikh literature as an agent of social change in the early 20th century, and analysis of the fundamental doctrines of Sikhism in historical context. Professor Singh is also one of the leading scholars on India’s political economy, and has researched and published extensively on topics such as federalism, governance, and macroeconomic policies. 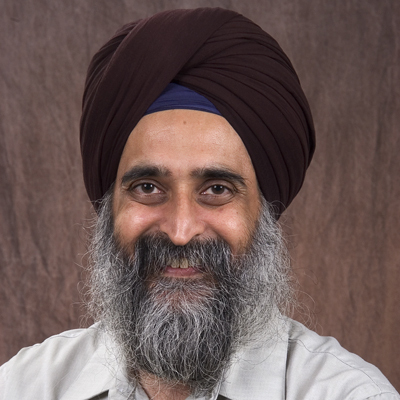 As holder of the Sarbjit Singh Aurora Chair, Professor Singh will add to the scholarship of Sikh and Punjabi Studies in areas that are as yet under-represented, including economy and society. He will chart a new and much-needed direction in Sikh and Punjabi Studies, and bring Sikh Studies scholars together in a discussion of an enlarged perspective of Sikh and Punjabi Studies. Professor Singh will draw on his heritage and family links with global Sikh communities to build bridges beyond the university, and to fulfill the University of California’s mission to serve the population of the state, including its vibrant and long-present Sikh community. He will also collaborate with Sikh Studies chairholders at UC Santa Barbara and UC Riverside to help provide access for UCSC students to the rich offerings in Sikh and Punjabi Studies at those campuses.